Free Shipping Included! 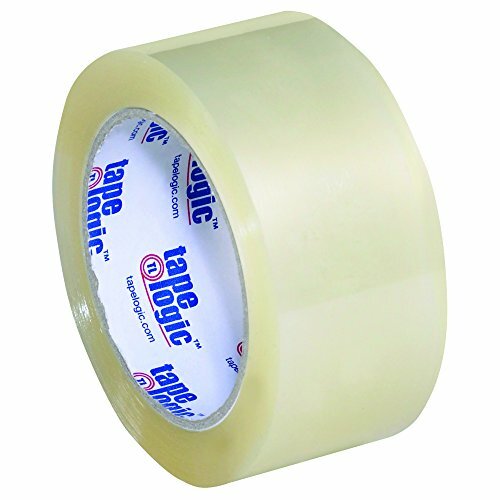 Save 1% on the Tape Logic TLT901350 Acrylic Tape, 3.5 mil, 2'' x 55 yd, Clear (Pack of 36) by Tape Logic at Community Frontiers. MPN: TLT901350. Hurry! Limited time offer. Offer valid only while supplies last. 2'' x 55 yds. Clear Tape Logic 3.5 Mil Industrial Tape. Acrylic tape is best for long term storage when shelf life is important. Excellent clarity. 2" x 55 yds. Clear Tape Logic 3.5 Mil Industrial Tape. Acrylic tape is best for long term storage when shelf life is important. Excellent clarity. Acrylic adhesive retains its clarity over long periods of time. Will not yellow. Consistent smooth release. Strong adhesive grips well to recycled corrugated. Application temperature range 32° - 140° F. Meets UPS and U.S. postal regulations.